Staying on top of email can be challenging for everyone. Fortunately, Gmail provides a way for you to keep your inbox organized and ultimately down to zero. 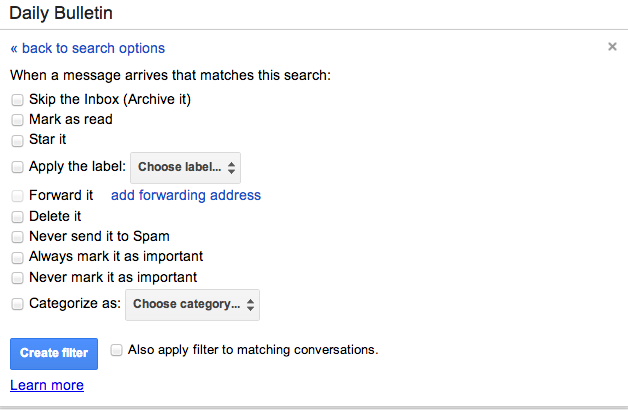 Step 1: With Gmail open, select the down arrow in your search box. Step 2: A window will appear that will allow you to specify your search criteria and apply a filter. Let’s say you want to apply a filter to the BHS Daily Bulletin. 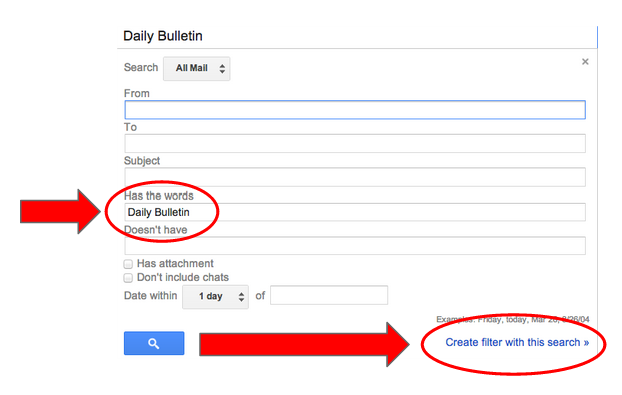 Type “Daily Bulletin” in the “Has the words” box and click on “create filter with this search” on the bottom right. Step 3: Now you can determine what will happen to messages that arrive with the words “Daily Bulletin.” You can have the message skip the inbox, mark it as read, star it (which is essentially the same as a favorite), forward it, delete it, always mark it as important, and so on. To add further organization to your inbox, you can apply a labels to messages. Think of labels as folders. For example, perhaps you are currently in a graduate course. Odds are you receive messages from your professor. You could apply a filter to have messages from your professor skip your inbox and apply a label to these messages. Your label could be the name of your school. I have created labels for parent communication, guidance, evaluation, administration, TED-Ed, collaborative projects, school visits, and so on. Setting up filters and labels in Gmail doesn’t take much time at all and is one way you can take control over your inbox. If you would like assistance in setting up filters or labels, please come by the Help Desk periods 1, 3, 4, 6 or 7. I’d be happy to walk you through the process. 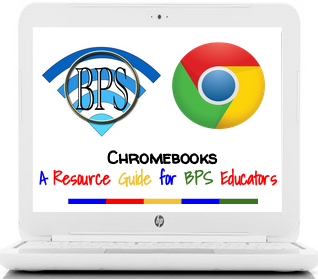 If it is more convenient, I can come to your classroom or meet with you before or after school.